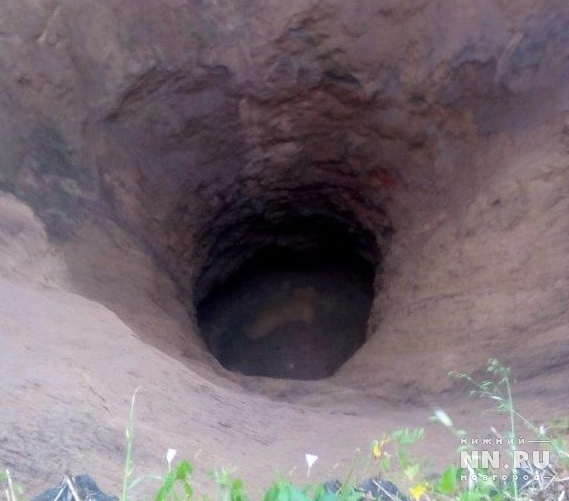 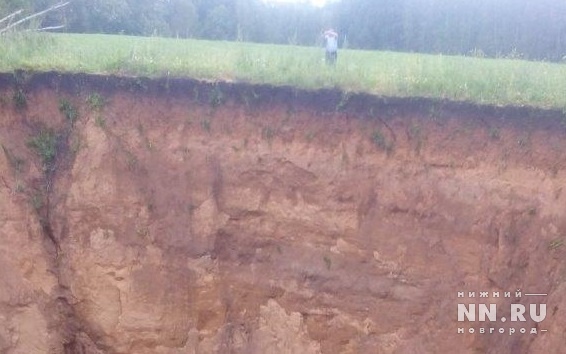 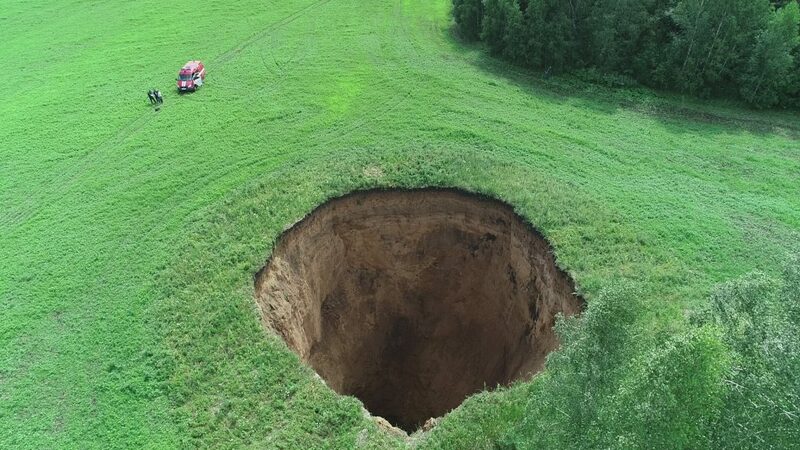 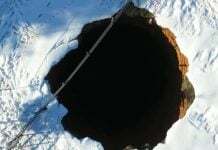 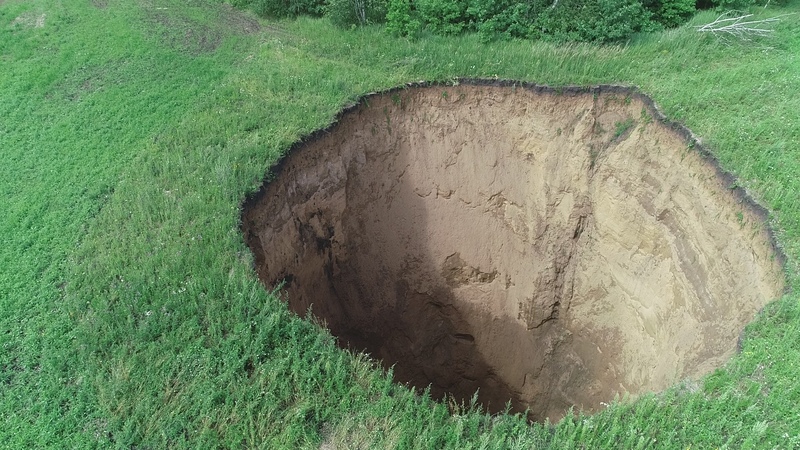 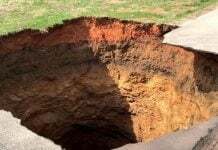 This huge crater opened up in the middle of a field creating a 30 meters wide and a 50 meters deep hole in the ground near the village of Neledino in Nizhny Novgorod region. 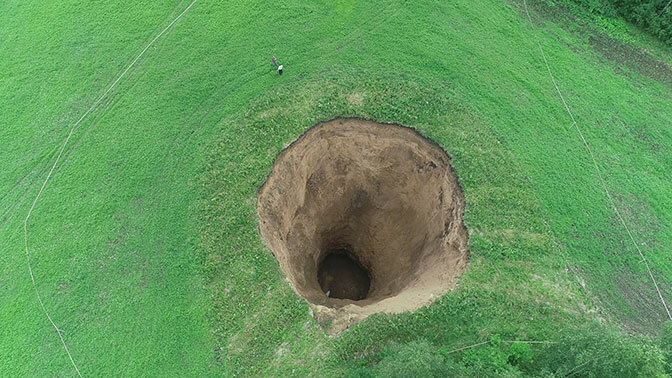 It is just amazing how karst soils can suddenly collapse, crumble and form giant sinkholes in the ground… Without any notice and within only tens of seconds! 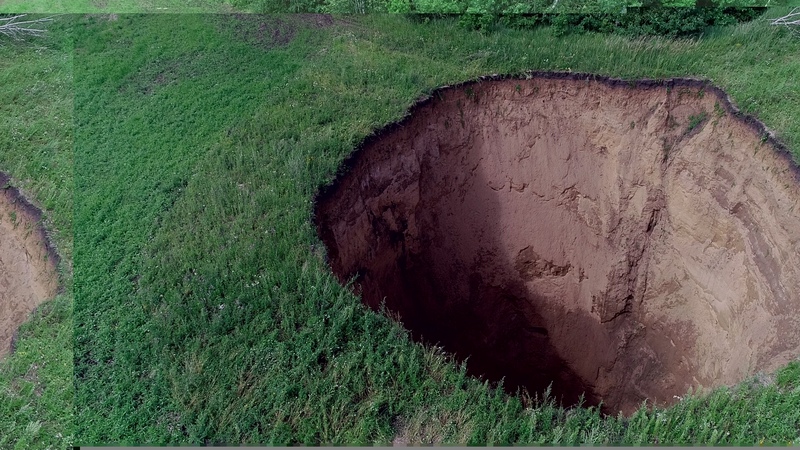 The hole in the ground is 50 meters deep and seems to have water at the bottom. 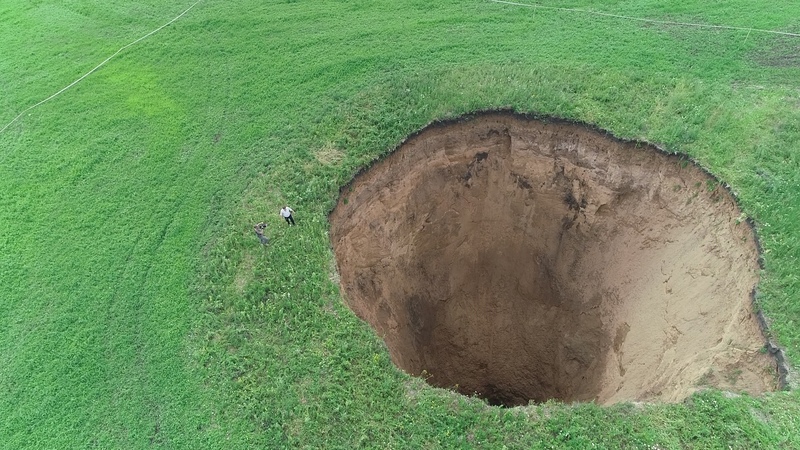 The huge crater in the ground opened up on July 25, 2018.